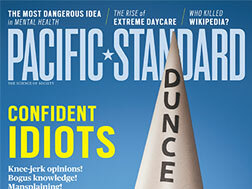 The 2011 hiring of editor-in-chief Maria Streshinsky, who came over from The Atlantic, led to an editorial shift for Pacific Standard, or, according to Streshinsky, a return: “In some ways, we’re going back to the core of what the magazine was started for: a conduit to academia, research and primary source investigation.” The idea of serving as a conduit is key. If you’re the type of writer that can turn a pile of behavioral and social scholarly research into a compelling story, you’ll want to send your pitches here. Streshinsky also stressed that writers who cooperate with the long and sometimes tedious copyediting and fact-checking process after submitting their stories will be invited to write for her again. “I like writers who are well-versed at keeping detailed notes and source information, not those who immediately move on to the next project and become lax in responding to fact-checking requests,” she said.